You can view our annual reports by clicking on the desired links below. In 2017, the Sonoma Valley Fund distributed $120,000 in grants to nonprofit organizations working in the Sonoma Valley and $11,188 in scholarships to students. 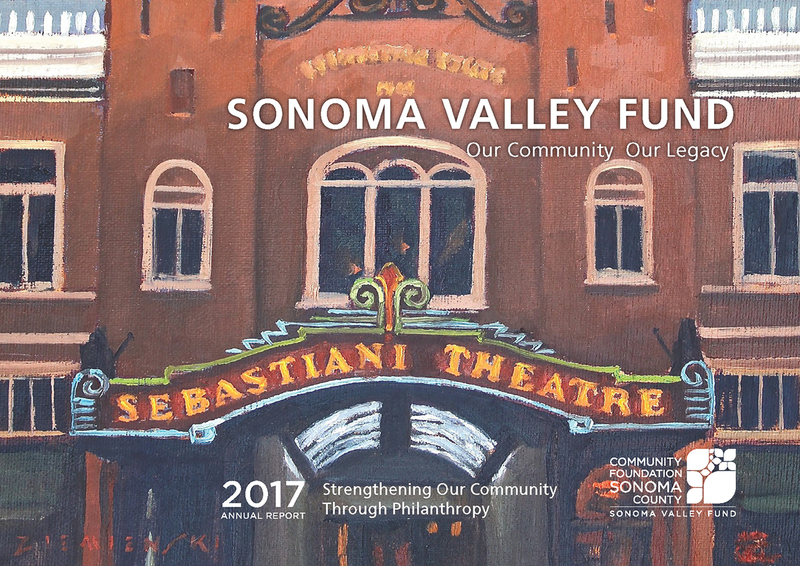 Community Foundation Sonoma County, our parent organization, distributed an additional $410,664 in grants to organizations in the Sonoma Valley, for a total impact of $541,852 in grants and scholarships made to the Sonoma community in 2017.